Book Review: Margaret Leslie Davis' 'The Lost Gutenberg' Traces One Bible's 500-Year Journey The depth of Margaret Leslie Davis' research on the tome's history cannot be understated — her writing is straightforward and, at times, heartbreaking, but outstanding reporting lies at the core. One of the first things I did when I moved to Austin a decade ago was visit the Gutenberg Bible housed in the Harry Ransom Center at the University of Texas. As a bibliophile, the importance of that book was not lost on me. However, the impact of Johannes Gutenberg's surviving bibles as cultural treasures and book collectors' dreams was something I ignored. That is no longer the case. 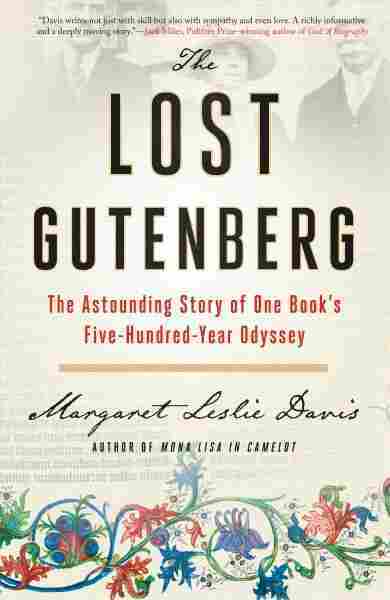 Margaret Leslie Davis' The Lost Gutenberg, which traces one Bible's 500-year journey, is an informative, superbly researched book that explores the lives of those who were in contact with the best example of Gutenberg's work. In the world of rare-book collecting, a copy of the Gutenberg Bible is the ultimate prize. There are fewer than 50 in existence, and none in better condition than the one known as Number 45. In The Lost Gutenberg, Davis meticulously chronicles five centuries in the life of this special copy and those who owned it, starting with what is known of its creation by Gutenberg and passing through the hands of monks, an earl whose life ended in poverty, the heir of the Worcestershire sauce business, and eventually into the hands of Estelle Doheny, the first woman collector to acquire the tome and it's last private owner. Davis also shows how Number 45 has been at the center of innovation from the moment of its creation to the groundbreaking research performed on it, using the proton beam of a cyclotron to study its ink. "Tracking the whereabouts of the Bibles over time produces a heat map of shifting influence, as the books move from the confines of the Catholic Church and into the libraries of Europe's aristocrats, and then flow to Britain's empire builders, embellishing the reputations of each successive set of owners." Before making its way to its final resting place, a steel vault in Tokyo, and being available to everyone online, Number 45 affected the lives of those who owned it. No one parted with the book willingly. Death, bankruptcy, and other disasters forced owners to sell it. Davis declares it "seems as though ownership of Number 45 requires prepayment in tragedy." Similarly, the book's value was always shifting as wars and other events devastated some national economies and helped others flourish. "Number 45's illuminations are one of its distinguishing features, as it is one of the few Gutenberg Bibles illustrated in Mainz, where it was printed. Its floral motifs are naturalistic, its lines elongated and slender, and the range of color is narrow — bright green and light pink contrasting with pale gray, red, and, rarely, blue." The Lost Gutenberg pulls readers into a five-century saga, plunging them into the minds of those who desired the Bible and the prestige that came with it. This makes it a book about not only Number 45 and its owners but also a narrative that explores our collective obsession with art, technology, change, and history. "What the world is to-day, good and bad, it owes to Gutenberg. Everything can be traced to this source, but we are bound to bring him homage, for what he said in dreams to the angered angel has been literally fulfilled, for the bad that his colossal invention has brought about is overshadowed a thousand times by the good with which mankind has been favored."